After their joint venture "Sweet Peace", that turned out to be the No. 1 charted track on the 5 Years Hive Compilation, our two up and coming Hive Audio artists now split their powers for a smashing maxi single. One track each by Benja and Reto Ardour that, of course, make a perfect match as every project those two Swiss young guns work on. Benja´s "Raw Smoke" is a reduced groove tool that convinces with a flippy bassline, raw chords and razor sharp Hi-Hats. 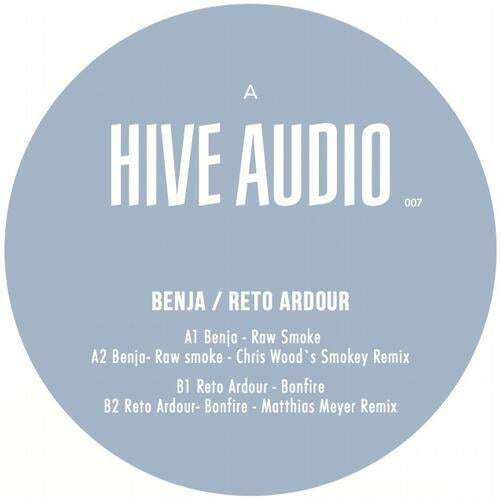 "Bonfire" by Reto Ardour comes around the corner with a smacking House groove, playful chords and spooky vocal effects.